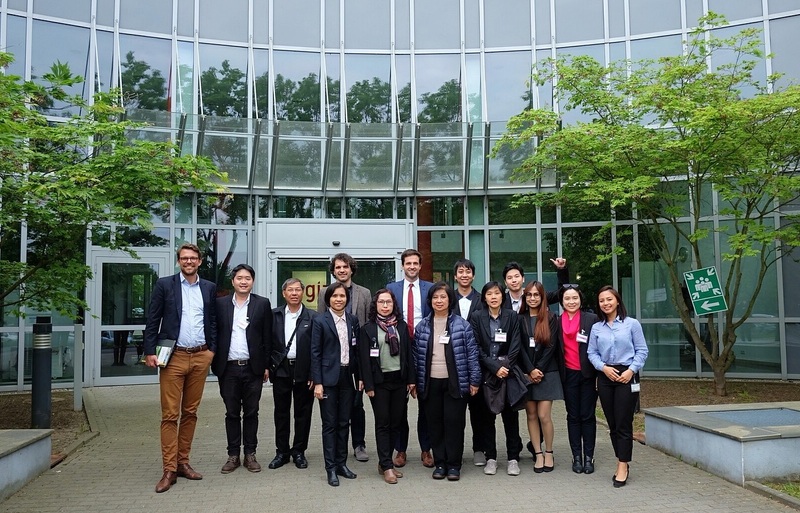 The Electricity Generating Authority of Thailand (EGAT) as Project Fund Manager of the RAC NAMA Fund shared progress and discussed the implementation of the fund on their visit to GIZ Head Office in Eschborn, Germany on 3 May 2018. 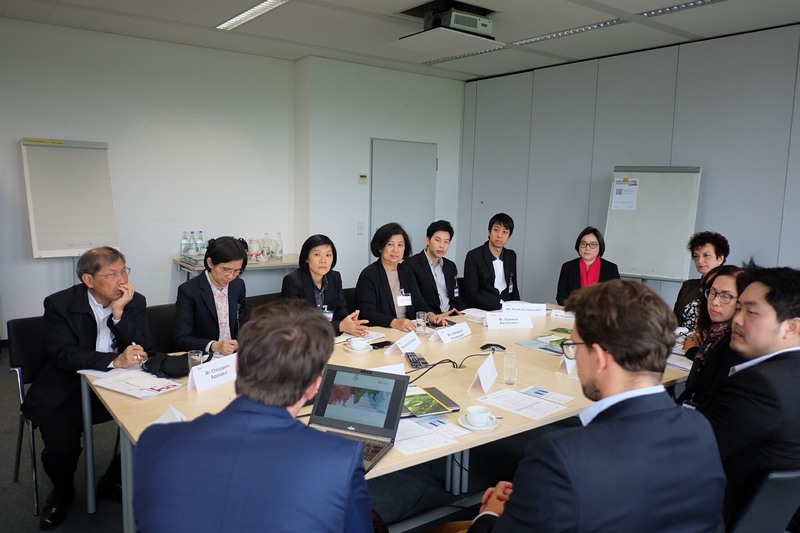 The EGAT delegation comprising representatives from the departments of Demand Side Management, Greenhouse Gas Management, and Finance, visited the GIZ Head Office for Thai-German Dialogue on Green Cooling Cooperation. The RAC NAMA fund is implemented under the framework of a Grant Agreement signed in December 2017. In February 2018, EGAT commenced the cooperation by signing Memorandum of Understanding with four financial institutions in Thailand and launching a promotional campaign for domestic refrigerators that use natural refrigerants. Other financial support mechanisms under the RAC NAMA Fund are expected to be implemented in the coming months. 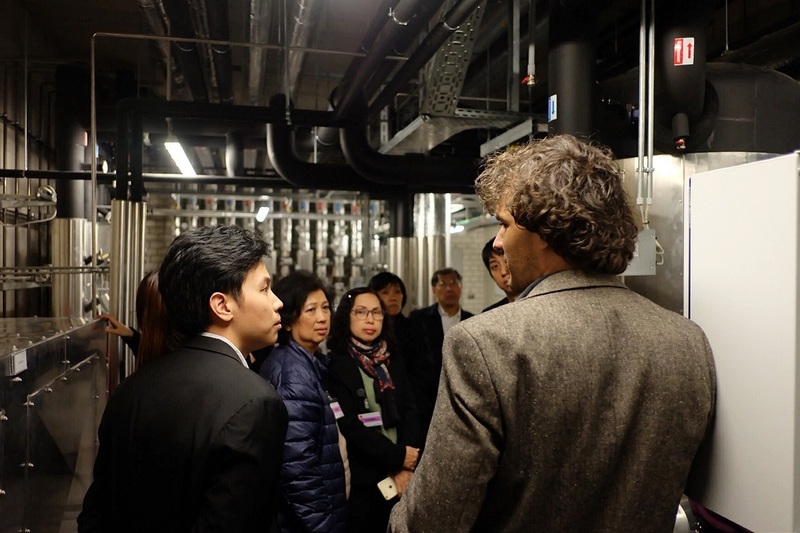 The delegates also examined the heat-pump technology in GIZ’s office building for which natural refrigerant is used. The technology demonstrates that natural refrigerants can be effectively and safely installed inside large buildings, providing a safe, climate-friendly and energy-efficient alternative to conventional cooling technologies. Following the visit, EGAT and GIZ discussed the implementation of the RAC NAMA Fund including Public Benefit Business and International Services, Proklima, Portfolios on Energy Efficiency, and Climate Finance. The delegation, as a partner and project fund manager, and GIZ had the opportunity to extend their collaboration and strengthen their relationship for better implementation of the project. The RAC NAMA Fund is one of the very first “Climate Finance” projects for Thailand. EGAT is responsible for implementing financial mechanisms to stimulate market opportunities for highly energy-efficient and climate-friendly cooling technologies and to enhance Thailand’s competitiveness in the refrigeration and air-conditioning (RAC) sector. The fund consists of sub-grants and revolving schemes to support the production, marketing, knowledge-sharing and skill development for green cooling technologies in Thailand. GIZ and EGAT signed the Grant Agreement of the RAC NAMA Fund on 20 December 2017. The RAC NAMA Fund of 8.3 million EUR was established as part of the Thailand Refrigeration and Air Conditioning Nationally Appropriate Mitigation Action (RAC NAMA) project, financed by the NAMA Facility on behalf of the Federal Republic of Germany and the United Kingdom. 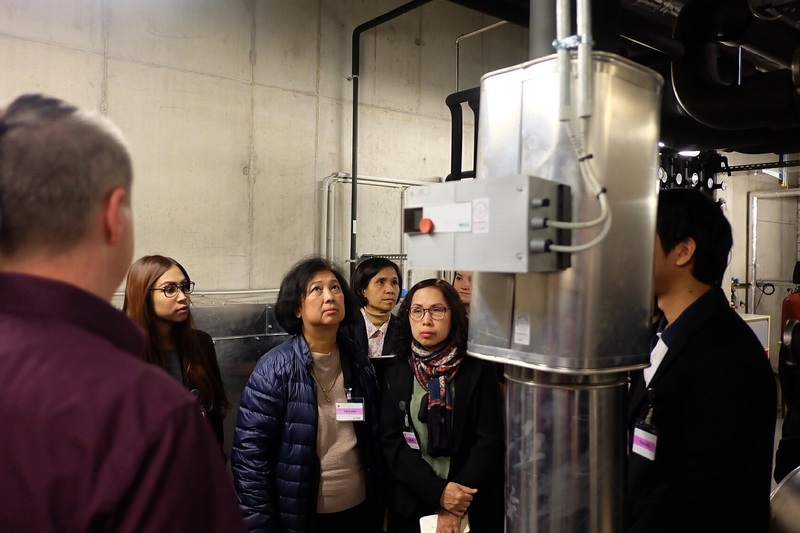 The project aims to promote sustainable production and use of green cooling technologies in the RAC sector in Thailand. ×Proklima Proklima is a programme of GIZ working on behalf of the Federal Ministry for the Environment, Nature Conservation and Nuclear Safety (BMU) to promote ozone- and climate-friendly technologies. Since 1996, Proklima has been commissioned by the German Federal Ministry for Economic Cooperation and Development (BMZ) to provide technical and financial support for developing countries on implementing the provisions of the Montreal Protocol on Substances that Deplete the Ozone layer.